Think about the Angry Birds. No, really, think about them. Now ask yourself if they're not the bird version of ISIS. 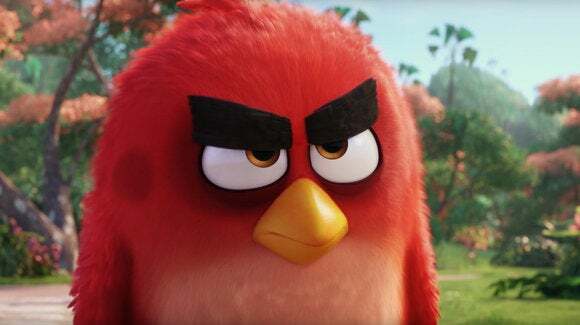 I just caught a new TV spot for the upcoming The Angry Birds Movie—and, as expected, the film completely whitewashes the Angry Birds’ depraved, ultra-violent past. Based on documented evidence alone, the Angry Birds rank as one of history’s most nihilistic animal extremist groups. Their jihad against the pigs is a blueprint for existential terrorism, yet none of the birds’ travesties appears to have been covered in the film. So, before you take your children to the movie (which opens on May 20th), consider where the Angry Birds actually started in 2009. Let’s explore what’s really going on. First off, all the birds’ so-called anger is based on a purely unsubstantiated grievance—that a tribe of pigs has kidnapped their eggs. That sounds like a war crime worthy of redress. There’s just one problem, though: There are no eggs to be found anywhere within the pig encampments. Take a very close look at the image below. 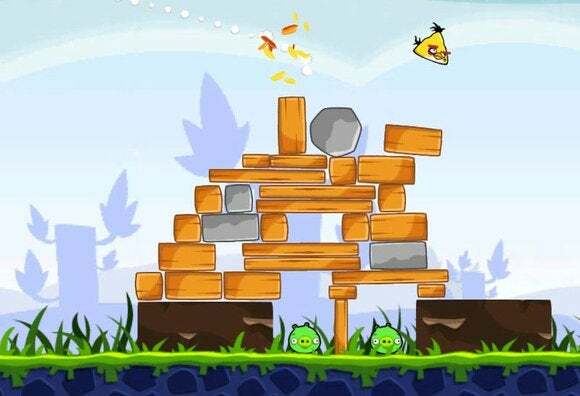 It’s typical of every pig structure that’s ever been razed by the Angry Birds. Do we see any bird eggs? No, we do not. All we see is a primitive, poorly constructed pig shanty—along with confused-looking pigs inside. Obviously, it doesn’t take spy satellites or UN inspectors to verify that the pigs aren’t hiding any bird eggs. Yet the Angry Birds attack regardless. In essence, the birds have created their own blood libel myth to dehumanize—or deswineify—the pigs. The pigs have been reduced to the “other,” and, in their own twisted logic, this gives the Angry Birds moral license to seek vengeance. It’s also critical to note that that the birds have never waged conventional warfare. Rather, every Angry Birds raid is a suicide mission. Indeed, the birds might destroy the pigs, but they will also kill themselves. That’s just how deep and perverse their nihilism runs. 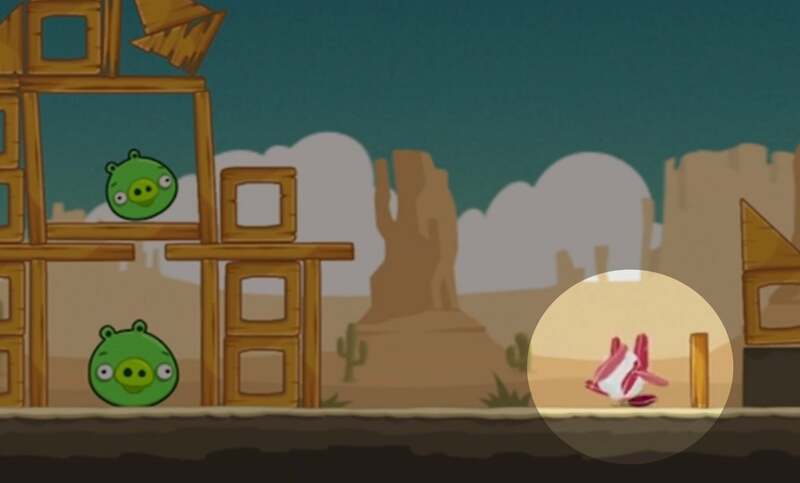 Caught on camera: The very moment an Angry Bird self-destructs during a suicide mission. We also have to be concerned by the Angry Birds’ willingness to deploy controversial bunker busters as well as incendiary devices raining hellfire from above. Furthermore, the enlistment of women and children for suicide missions clearly shows the Angry Birds are in philosophical lockstep with the world’s most depraved terrorists. The “Mighty Eagle” bunker buster can flatten an entire pig encampment with a single suicide attack. In sum total, the angry birds aren’t just angry—they’re 100 percent consumed by a culture of death. But this is where it gets even more troubling: Not only are the birds willing to sacrifice themselves for jihad, they’re also willing to sacrifice their unborn children. Indeed, what’s ostensibly inside the pig structures that the birds are attacking? Bird eggs. The Angry Birds are willing to flatten the very villages in which their unborn children are spirited away! In effect, they’re willing to commit infanticide—and risk the future of their entire avian race—in their obscene campaign of genocide. Even ISIS hasn’t yet stooped so low.